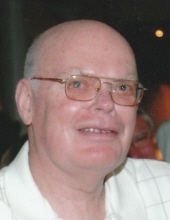 Donald E. Tallent (Don) age 74 of Colona Illinois passed away peacefully at Hope Creek Hospice Care June 27th, 2017 from complications of Parkinson’s. Don was born July 9th 1942 in Moline Illinois. His parents who preceded him in death were Wayne and Carolyn (Foss) Tallent. Don was married May 18th 1970 to Sandra (McKean) in Las Vegas Nev.
Don was a local community banker in the Colona area since 1973 starting with Henry Co Bank through numerous mergers to his retirement from Black Hawk State Bank in 2004. Don was a very proud Hawkeye supporter and Alumni of University of Iowa. Don was an Army Veteran stationed in Korea. He was a very community centered businessman in the Henry County area. He held numerous positions throughout his lifetime with the Lions Club of Colona, was a member of the Colona School Board and served as Colona Township Clerk. He was a lifetime member of the American Legion Post 1233 and member of the Masonic Lodge #680. Don was an avid fisherman, golfer and Iowa Hawkeyes fan, enjoying many outdoor activities with family and friends throughout his entire lifetime. Don is survived by his wife Sandra and his four children: Rhonda Boutelle, Chad Johnson, wife Cassie (Hayes) and their children Brett Johnson and Amber (Ward) Johnson and his great granddaughter Sophia Ward. Amy Park, husband Chuck Park and their children, Charlotte, Paige and Ella. Pamela Lewandowksi, husband Brett and their daughter Chloe, and his mother in law Elaine McKean. He is also survived by his only sibling, Joyce (Ketner) Tallent, husband Blaine and their sons Joe Ketner and Scott Ketner and their families, and his life long friend and guardian angel Jim Hayes who never left his side. He will always be remembered by his family and friends as a very kind, fun loving gentleman. In lieu of cards and flowers the entire family requests donations be made to the Colona Township Fire Department. A private family only service will be held at a later date at Ruth Lake, Emily Minnesota. To plant a tree in memory of Donald E Tallent, please visit our Tribute Store. "Email Address" would like to share the life celebration of Donald E Tallent. Click on the "link" to go to share a favorite memory or leave a condolence message for the family.